The top blogspot for Houston interior design and home decorating. Home design, decorating ideas, home decor and more! According to Wikipedia, the Wing Chair is “an upholstered easy chair with large ‘wings’ mounted to the armrests and enclosing the head or torso areas of the body.” Got the visual yet? Typically, when I think of a wing chair two things come to mind: navy and stodgy. 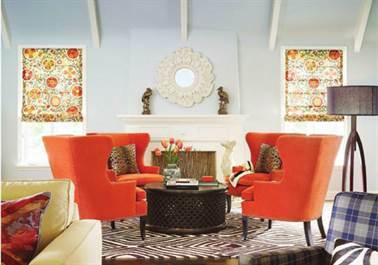 What I love about this room designed by Betsy Burnham, is that she made such an unpredictable seating arrangement around a seemingly predictable chair (albeit in orange). 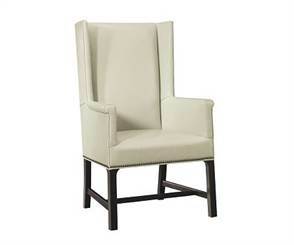 Ahhh, the classic Baker Wing Chair…the lines are just gorgeous. 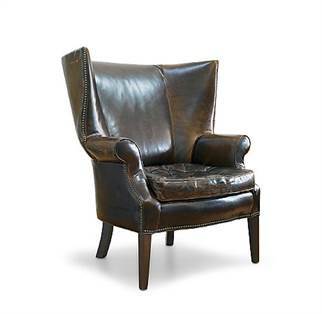 The Vintage Wing Chair from Jayson. 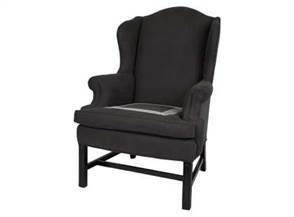 Lee Industries Wing Chair . 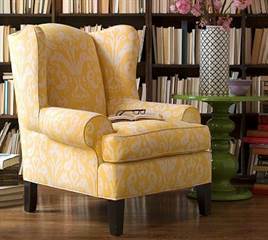 The Emery Wingback Armchair in a trendy print on sale from Pottery Barn. I love this slipcovered version from Mitchell Gold + Bob Williams. 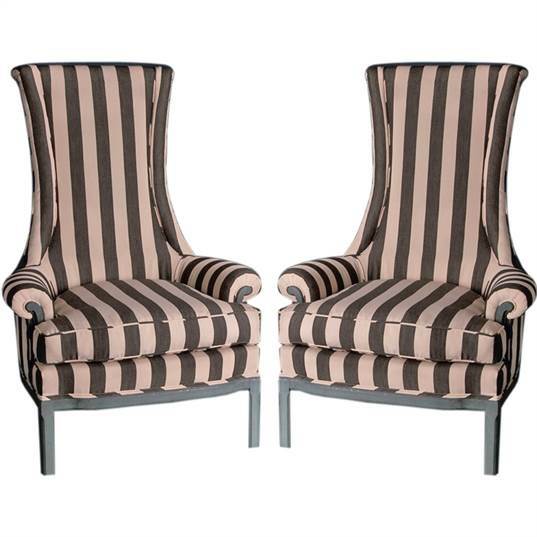 A striped pair from 1st Dibs. 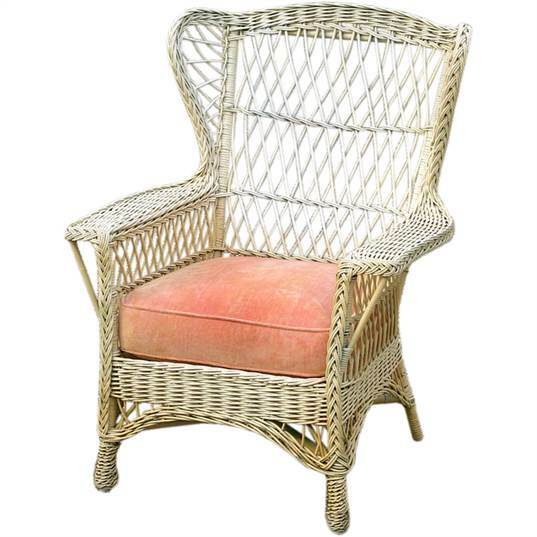 Who said you couldn’t have a wing chair on your front porch? 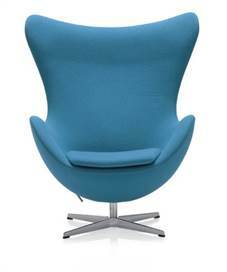 Okay, so maybe it’s a stretch, but the Egg Chair is the Modern Man’s Wing. 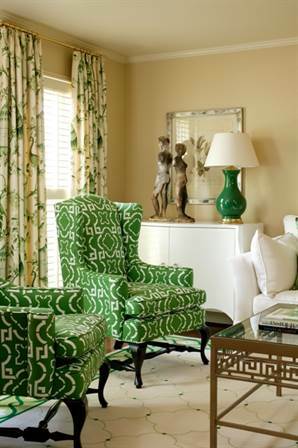 Designer Tobi Fairley shows how to make traditional chairs bold and punchy, I LOVE it! Check out her favorite wing chairs here. I always love to see great posts on wing chairs as I have two wing chairs in my attic, waiting for my next house and a make-over! There are so many great ideas for fabric in this post. I recently saw a post where someone had custom slipcovers made for their wing chairs, with a nice contrasting trim. I truly believe a wing chair or two sets the room. It brings memories back from when you were little and allows the next generation the chance to create some new ones. 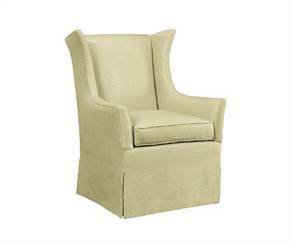 With a wing chair you can go from fromal to informal. Bring out the wings and let the room come alive. I love to see unique seating arrangements. This is a great idea and what fun to put an old standby in orange. These are fantastic! 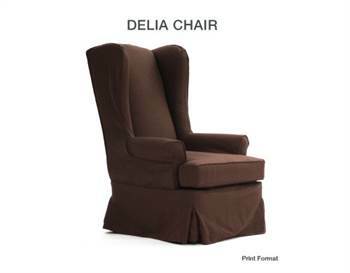 if you like these wing chairs, check out the FEUILLE DE CHOCOLAT ARMCHAIR in FCLStyle.com’s Classique collection. I love the design on the wing chair.